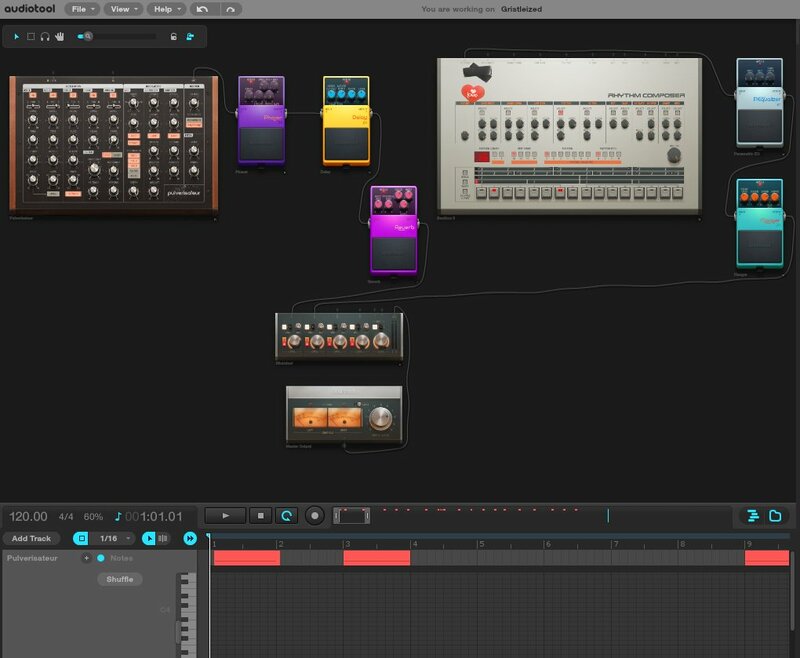 In case you haven't already tried it out, or you want to be the next big thing in electronic music* you should check out Audiotool. It's a completely on-line/browser based DAW (Digital Audio Workstation) or 'studio' to you and me! It has 3 drum machines, 3 synths and numerous 'effects pedals', mixers and .... stuf! Hours of fun and it's free to sign up, you can download your tracks in mp3 or Ogg format and more - check it out! ... and a track called SLOMO - cause I was watching a slow motion video on Vimeo beforehand! love SLOMO.. please dont get me into DAWS, cos then i will start firing up cubase, then reason, and will spend months trying to perfect a bassline in recycle.. i will keep with painting! but yeah i dig teh SLOMO track !